3 FREE Small Kitchen Appliances! PLUS FREE Shipping! 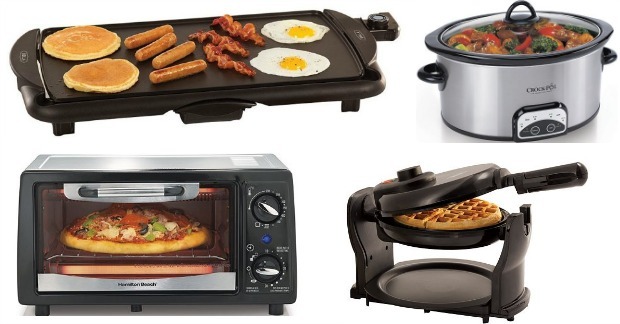 You are here: Home / Great Deals / 3 FREE Small Kitchen Appliances! PLUS FREE Shipping! It’s back! You can get FREE Small Kitchen Appliances! These make great gifts! Enter coupon code NOVSAVE15 at checkout to save an additional 15%, bringing your total down to $50.97. Pay $50.97 with FREE shipping and earn $15 Kohl’s Cash. Submit this Mail-In Rebate to get $12 back on each of the appliances you purchased (total of $36 back in the form of a Kohl’s Visa prepaid card). Your final cost after Kohl’s cash and rebate is FREE! PLUS FREE Shipping! Hurry, these items will likely sell out quickly!